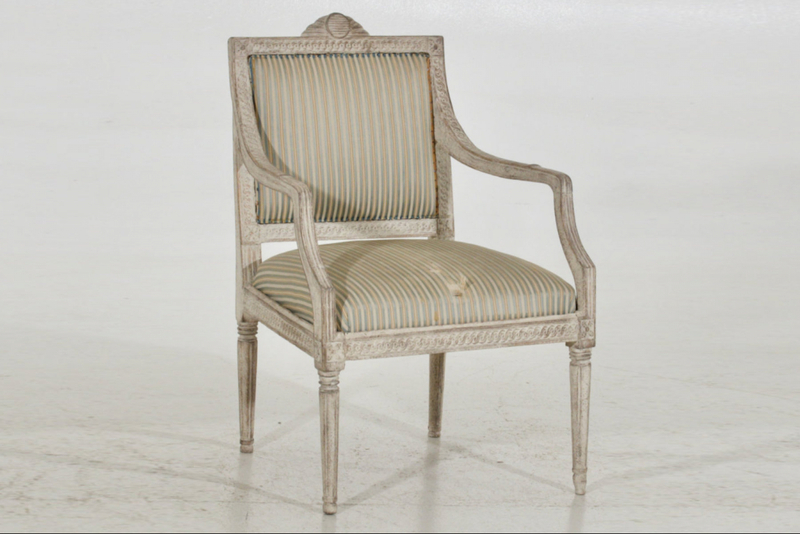 Fine armchair with leather seat, 18th C.H. 90 H-seat. 45 W. 66 D. 55 cm.H. 35.4 H-seat. 17.7 W. 25.9 D. 21.6 in. H. 90 W. 66 D. 55 cm. H. 35 W. 26 D. 22 in.